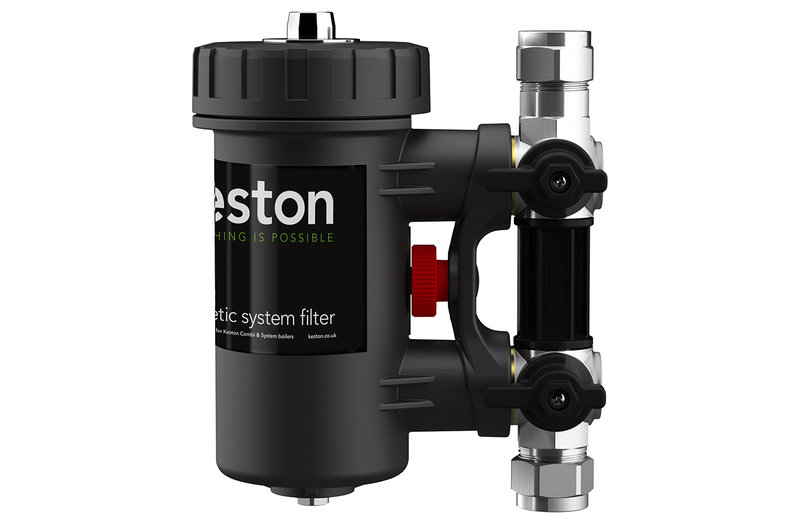 Developed with market leaders Adey, the 22mm System Filter is for use with Keston Combi and System boilers. The filter provides protection to heating systems against the damaging effects of magnetite and non-magnetic debris. Installers will benefit from the System Filter’s enhancements as it is equipped with a quick-release trigger. This will allow the System Filter to be removed and reinstalled within seconds, making the installation and servicing process quicker. 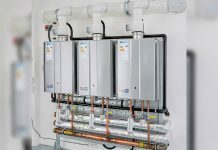 The servicing options have been improved with its design, such as the low profile drain valve, meaning the System Filter can be serviced more efficiently and does not need to be fully removed if required. 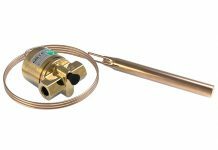 Complex installations have been made easier with the System Filter’s design, its 360-degree rotational valves accommodating vertical or horizontal pipework flow and it is supplied with quality isolation valves. 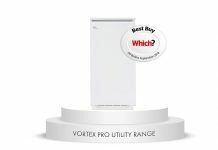 By installing and registering the new 22mm System Filter with a Keston Combi or System boiler, the standard 5 year boiler warranty will be extended to 7 years*. Registration can be done on Keston’s website (www.keston.co.uk), Installer Connect (www.installerconnect.com or via the app) or over the telephone (01482 443005). This filter is available from Monday 15 April 2019 through merchants. *5 year parts & labour warranty as standard. 7 year warranty when installed with a Keston 22mm System Filter and registered within 30 days of installation. 7 year warranty available until 31/12/19. Terms and conditions apply.